The best landing page examples are those in which are engaging and user-friendly. The goal is to keep users on your website for as long as possible in hopes of gaining a customer and a conversion. Creative landing page examples typically have captivating content right away like video content and relevant headers. Additionally, your landing page design should be mobile-friendly and mobile optimized. It takes more than just a designer to create a good landing page example; knowledge on your market, goals and digital marketing strategies all contribute to a successful website. So, let’s take a look at some of the website work we’ve done and what makes a landing page work. Relevant embedded video on a landing page can increase conversions by 86%. When recreating a website, it’s important to by identifying the goal of the site. Is it informational, driving sales, for entertainment or something else? 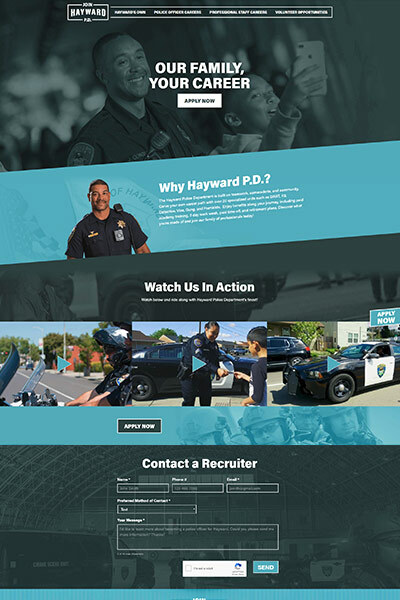 First, for Hayward Police, the goal was to separate the Police Department’s page from their government’s crowded site. Second, the goal was to inform potential candidates and drive in applications. With these in mind, we got started. 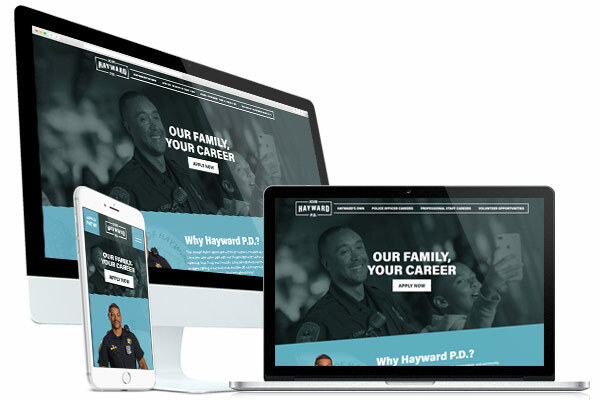 Once Hayward PD had its own website, we were able to focus entirely on recruiting applicants. 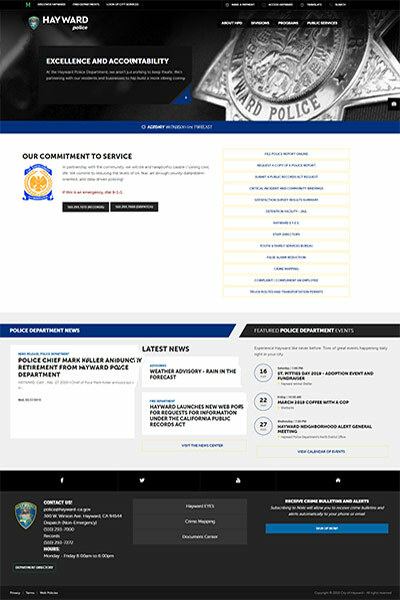 With a custom marketing strategy, including videos and photography capturing real officers, our web designers created a distinct brand for HPD. 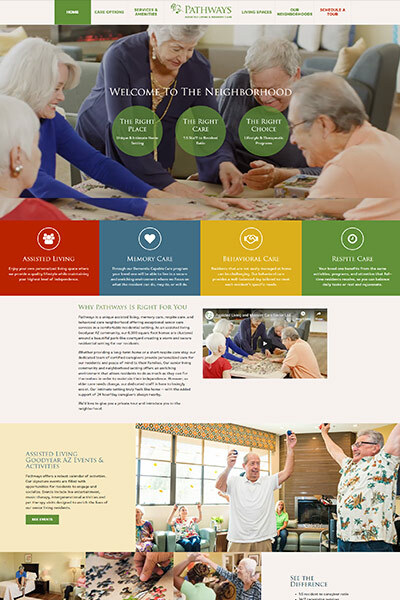 Modern landing page design, powerful copy and dynamic video were all added to their website. This way viewers can instantly see the passion in their team, watch videos and contact the Department. Compared to the old website, the new version is much more user friendly and drives viewers to take action. 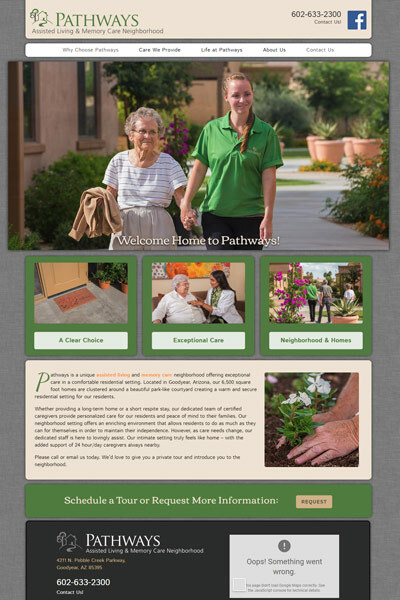 First, the objective for creating a new website for Pathways was to modernize and more accurately reach the right market. This started with updated photography that represented the culture of Pathways and those who live there. Additionally, we add descriptive and powerful text to the descriptions. The best landing page examples have a clear mission and call-to-action. For Pathways, this meant a welcoming and reassuring greeting followed by easily accessible information on the services provided. The previous landing page example here had some areas that were unclear and took the user to empty pages. User experience is very important in keeping customers interested. For example, 40% of users will not come back to your page if they had a negative experience. But our web design team knows just how to keep website visitors engaged and clicking. Additionally, our designs keep users coming back. The next step to having a successful website is optimization. It’s not good enough to only have an appealing landing page design. To really gain traffic and improve rankings on Google over time, SEO techniques should be applied. This means organically showing up across all platforms throughout the internet and appearing higher on search engines. Epic’s digital marketing team specializes in targeting your audience and optimizing websites that do the heavy lifting for you. Your digital marketing strategy will go hand in hand across platforms and showcase your business all over the web. Combined with Epic’s video production services, you’re sure to see results. 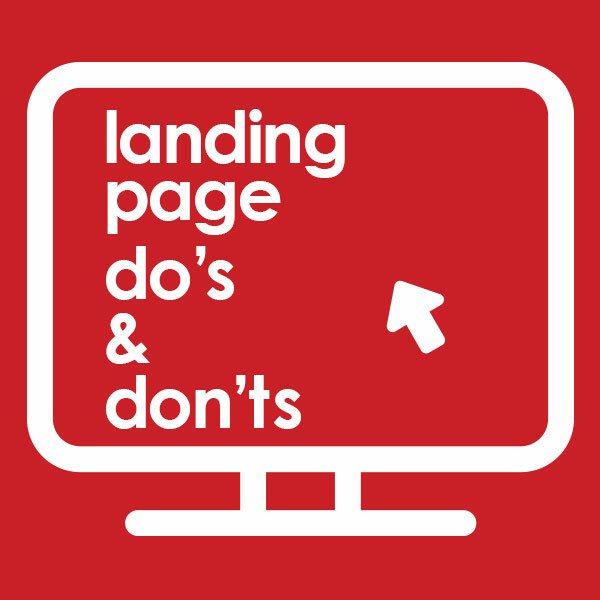 Having an appealing landing page is only step one. Make your website a 24/7 marketing machine with digital optimization.